However, putting a quit plan in place is often stalled because the task feels too great. What if people contemplating quitting changed their goals from quitting (and never get at it) to reducing the number of cigarettes they smoke each day? What if they made their home and car smoke free? Delayed lighting up when they had a craving? These strategies can significantly impact your future “quit attempt”. For most, quitting is not a single event but a process. IT IS NOT A RACE. Achieving small goals can help make you feel strong and more confident as you get closer to setting a quit date. Increasing your awareness about your smoking patterns provides very valuable information. For example, if you know that your morning cup of coffee is a trigger to smoke, maybe you give up coffee? (For many people this would not be a realistic goal, but avoiding caffeine is proven to assist in the quit process.) However, if you change up your morning routine and take a shower before your coffee or have your coffee in a different room, perhaps this would help lessen the association with a cigarette. 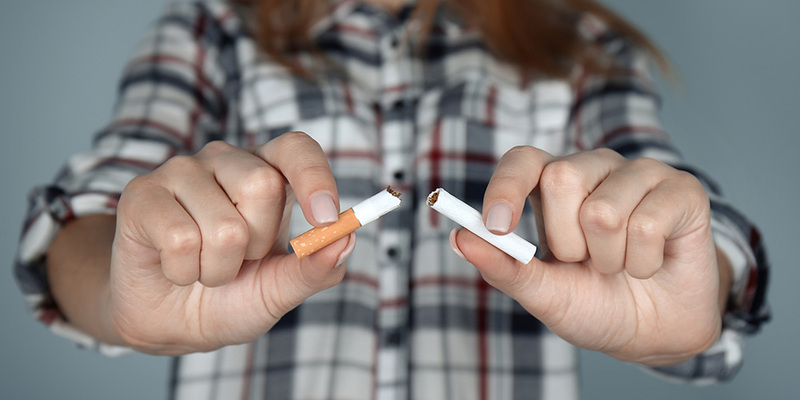 Making your home and car smoke free is also helpful in reducing how much you smoke, and very helpful down the road as you get closer to quitting. You have to make a conscious choice to light up when you force yourself to go outside. Sometimes there are triggers in your home and you light up without even realizing it…like the phone ringing, or while watching TV. Have you ever noticed a cigarette in the ashtray, or in your mouth, and do not remember lighting it? Maybe it’s time to take back that control that nicotine has on you. With a planned quit attempt, you are more likely to stop smoking. Even if you do not become smoke free, remember each quit attempt is a SUCCESS, providing valuable information for your next quit date. Consider it just a bump in the road…keep going until you get there. The BAFHT can help. Talk to your doctor or any BAFHT member regarding support to quit and smoking cessation aids.